Mr. Local is Sivakarthikeyan's next film in a full-fledged role after Ponram's Seemaraja. It has him acting alongside Nayanthara, while Radhika Sarathkumar, Thambi Ramaiya, Sathish, Yogi Babu, Roboshankar, and Harija play crucial supporting roles. The film is directed by M Rajesh of Siva Manasula Sakthi, Oru Kal Oru Kannadi, and Boss Engira Baskaran fame, and produced by KE Gnanavel Raja under the banner Studio Green. 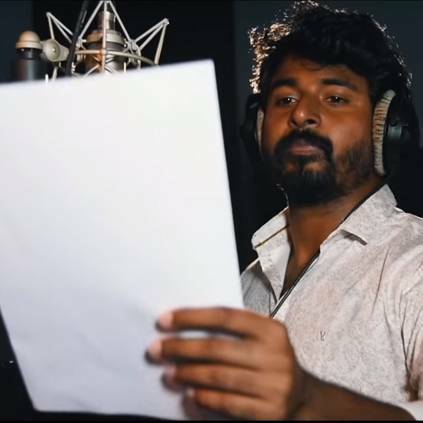 The makers have now released the lyric video of the song Kalakkalu Mr.Localu, sung by Sivakarthikeyan himself. It has lyrics by K.R. Dharan. The pattern of the song suggests that it is Sivakarthikeyan's introduction song in the film. The music is composed by Hiphop Tamizha while Dinesh Krishnan B handles the cinematography. Mr. Local is releasing worldwide on 1st May 2019, which coincides with Ajith's birthday. After Mr. Local, Sivakarthikeyan will be seen in a sci-fi film with Ravikumar of Indru Netru Naalai fame, tentatively titled SK14, followed by 'Hero' with PS Mithran of Irumbuthirai fame. He will then act in a film with Pandiraj, produced by Sun Pictures, and then collaborate with Vignesh ShivN for a film produced by Lyca Productions. People looking for online information on Hiphop Tamizha, M Rajesh, Mr. Local, Nayanthara, Sivakarthikeyan will find this news story useful.